By Kyle Holmer, Tommy Robbins, and Jarrod Jones. This is LOAD FILE, where we take one final look at the year that was… and then blow that sucker out the airlock. This week, the LF team assess the finest in gaming for the year 2016. Titanfall 2. I am not by nature, a multiplayer advocate. I primarily come to video games as an individual looking for compelling stories and some escapism, so when the original Titanfall was announced (an exclusively online multiplayer shooter) there was literally nothing about that game that drew me towards it. Yes, it received glowing reviews, but I was having none of it; I need the promise of a full single player experience if I’m to even consider a purchase. Moving forward to 2016, Titanfall 2 was released, and while there was some positive early talk about the tech tests, I was pretty hesitant to purchase the game. I had assumed that while yes, this game now includes a single player campaign, I assumed it would be nothing more than an extended tutorial a la Call of Duty or Battlefield. I was elated to eventually find out I couldn’t have been more wrong. 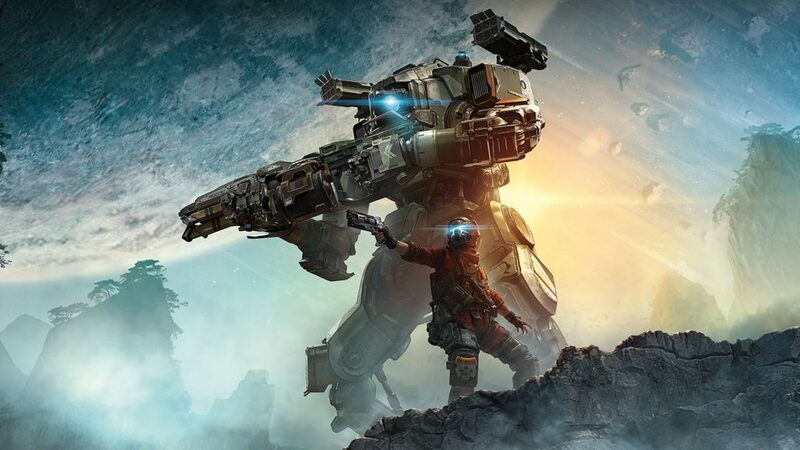 I’ll be the first to admit that storyline in Titanfall 2 is rather throwaway, but the team at Respawn have clearly sought to make a campaign that is both compelling and fun. Titanfall 2‘s camping has some of the most inventive level and mechanical design I’ve seen all year, with entire new systems being added over the course of the 8 hour storyline. There was never a point during my game that I didn’t have a stupid smile plastered all over my face; it is never not awesome. From the unbelievably tight character movement, to the ridiculous new powers the store will grant you (this game somehow has a level with a freely controllable time traveling device), I don’t know anyone who wouldn’t enjoy playing this game. The Witness. I was sold on The Witness at first glance. Seeing its vivid landscapes unfold in the initial game trailer gave me a childish sense of excitement. I wanted to roam that weird, colorful land. It was later that I learned that Jonathan Blow (Braid) was the creator and that it was intended to be a sort of logic puzzle game that nested itself inside of a world of deeper and more surreal environmental puzzles. That’s when I knew this would be something special. The Witness managed to present a game full of mind melting logic puzzles while easing the dull aching migraine that is ‘playing puzzle games’. Art direction serves a true purpose as vibrantly oversaturated landscapes unveil themselves over every hill, presenting calm and peaceful spaces before introducing further challenges. Navigating those spaces is reminiscent of exploring the unknown areas between neighborhoods as a child. 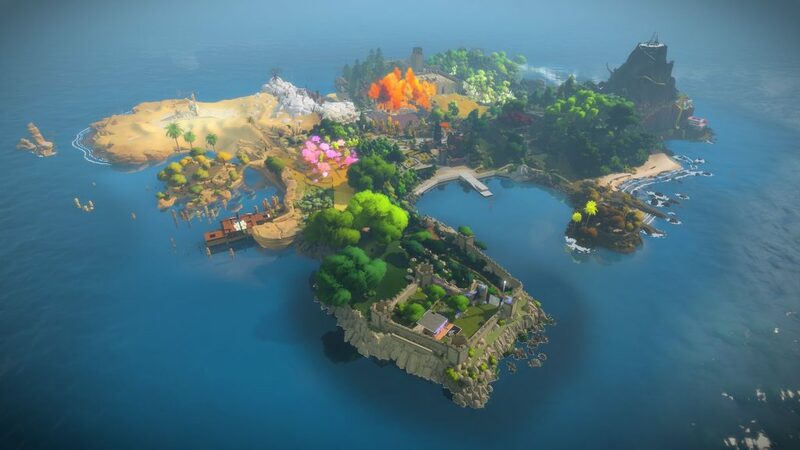 The Witness balances difficulty with wonder and achievement. What’s more, it even manages to provide beyond these triumphs. Watch_Dogs 2. 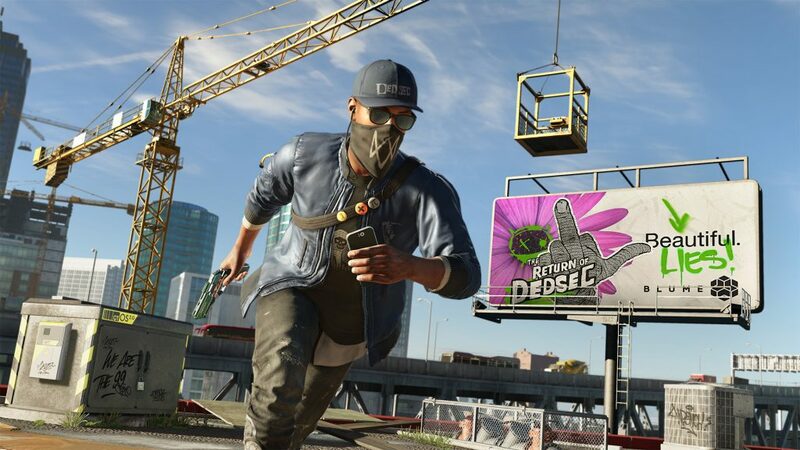 I’m not gonna talk around it — Watch Dogs The First really bummed me out. From its slate-gray open world that only vaguely resembled the city in which I live, habitated by a protagonist that was a cross between an Assassin’s Creed reject and an especially obnoxious bicycle courier, Ubisoft’s first foray into the wide world of *cough* “hacking” made me want to eat glass. Watch_Dogs 2, on the other hand, made me want to pick up and move to San Francisco, in spite of the fact that I would have been destitute within five steps of its city limits. Ubisoft pulled a 180 that would have made Michael Jackson blush with this followup, from its phosphorescent color palette to its YOLO-brand crew of hacking misfits. Not only did I thoroughly enjoy the aesthetics of Watch_Dogs 2, I genuinely appreciated the effort from its developer to improve. Dark Souls 3. As I attempt to gather my words regarding Dark Souls 3, it’s tempting just to mention I endured over 300 hours of gameplay and move along. But seeing as the man in charge would likely request more in my copy, here’s that. 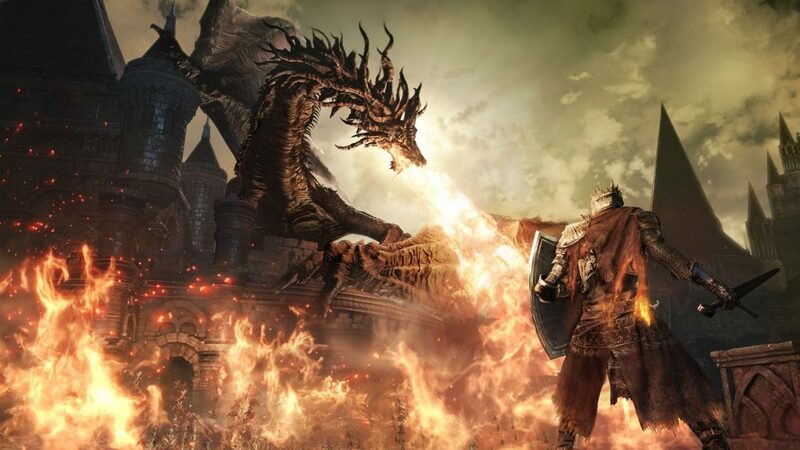 Brutally challenging, unforgiving as all hell, and mockingly cryptic — In the world of Dark Souls, it’s the thrill of achievement that keeps folks moving forward. Dark Souls 3 was no different, and with the franchise’s age came insight. FromSoftware has become pretty talented in their pursuits and the third installment featured some of the most utterly rewarding (and punishing) gameplay of the series. Knowing that each success or failure was determined by my ability to perform, there was never a moment where I blamed my failures on controls or gameplay dynamics. As the internet would lovingly put it: Git Gud. Yes. Playing with friends was the moment Dark Souls 3 went from great to extraordinary. Summoning friends into my subsequent playthroughs just never got old. And through this, an understanding was formed that allowed me to show friends pieces of the game they missed in their own playthroughs. The understanding that came from exploring every nook and cranny of this world remains unparalleled. My opinions may contrast with many long time Dark Souls fans out there, but I feel safe saying that Dark Souls 3 was one of the most balanced and enjoyable games of the series, and co-op play gave the game legs that brought me back, not just for a second playthrough, but a third and forth as well. Uncharted 4. I’ve been simultaneously Uncharted’s biggest supporter and detractor; I was a dedicated fan for the original PlayStation 3 games, but upon wrapping up Uncharted 3, I was pretty confident that Naughty Dog was done. The lead writer had departed the company, they had formally wrapped up Nathan Drake’s storyline, and most importantly, Naughty Dog had proven with the Last of Us that they have some really compelling stories to tell outside of the Uncharted-verse. So when Naughty Dog announced at the Game Awards that there would indeed be an Uncharted 4, I was both confident it was going to be a completely enjoyable game and infuriated that they were gonna force some superfluous story onto Nathan Drake. Upon starting up the game however, I was almost immediately proven wrong. Not only is this a relevant story for the series, it is unquestionably the most relevant and evolved. Naughty Dog, instead of just inflicting a fourth Indiana Jones-style adventure onto the hapless Nathan Drake, have instead decided to humanize the characters in a way that is both natural and foreign. For the first time you actually learn something about these characters and more importantly, you see them engage with each other in a completely human way. For a series that has been known for outrageous set pieces and outlandish scavenger hunts, it’s telling how compelling this game is that the best bits are seeing how Nathan comes to terms with a domestic life or seeing him reconcile how his life choices impact his family. Agree? Disagree? What games rocked YOUR world in 2016? Let us know in the comments section below.